As surprising as that sounds, she’s not the first to be called on it. The gorgeous actress and model Megan Fox has been scrutinized for having “toe thumbs” too. You know what we say? If that’s the worst of your problems, you can consider yourself very fortunate. 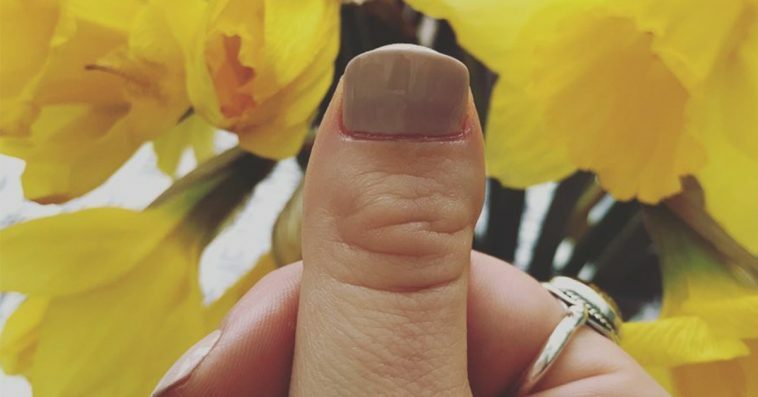 There is really nothing wrong with this type of thumb, which is more appropriately called a “clubbed thumb” or “stub thumb.” It works just like any other thumb. It just looks a wee bit shorter and wider. It’s cute if you really think about it. Technically, it’s a Brachydactyly type D skeletal variation, or Brachymegalodactylism. Those big words simply mean that the thumb is about 2/3 the size of a longer thumb, and the nail bed is usually shorter as well. The reason it occurs is nothing serious. The end bones of the thumbs are shorter, and that’s essentially all there is to it. It’s just one of those genetic factors that make people who they are. So we’ve mentioned Megan Fox, but do you know of any other celebrities who have these thumbs? Did you ever even notice? Probably not, because all of those celebrities are beautiful just the way they are. So if you have clubbed thumbs, wear them proudly.